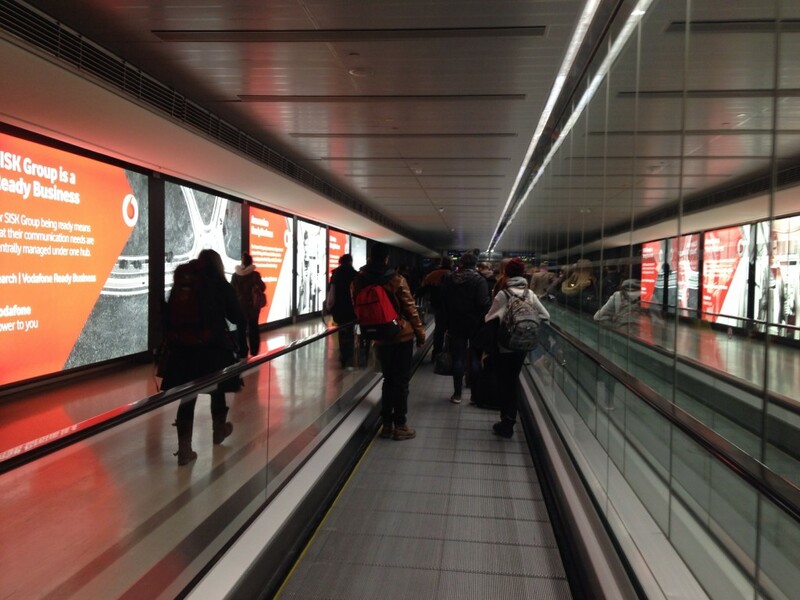 The early morning airport run at Dublin Airport. The alarm clock went off at 3.30am and I knew it was happening again – sure what would stop it, only a decent job offer at home. I peeked in to see the wee one this morning. Of course she was fast asleep and kissed the bleary eyed man goodbye to make my journey to the UK – something I do every Monday morning. The truth is, I couldn’t – things aren’t as rosy as Enda might make you think. We’ve only to look at the homeless figures, the number of families being turfed out of their homes every month in Ireland – and the dysfunctional jobs market here to know that. The 2011 census showed that the Irish dropped to fourth place behind Indians, Poles and Pakistanis, as immigrants in the UK. We stood at 407,000, according to those stats that year. Almost 22,000 people moved from the Republic to our closest neighbour in 2013, bringing the total over the past five years. And many are only half immigrants, like me – living in a nowhere land between two countries. We get the plane on a Monday morning ridiculously early because Ryanair rolls that way, we leave our families and friends, our lives behind for the week, for a strange and essential place. London is still the favoured place as it offers more opportunity but my profession took me to Birmingham. It’s a friendly city with a vibrant Irish community and if you want to get involved in social groups or just meet people at the Irish bar when a GAA match is on, you will. But what for us? The mothers who’ve left it all behind? Being 30-something with a child in school, and high rent (yes, rent – all the years I worked, I still couldn’t get a home of my own in Enda’s Ireland) I have so much to pay out, I can’t afford the Tuesday night pint. I am living in Ireland where my child, my partner, my family and friends are. Every penny I work for goes on not one but two rents. 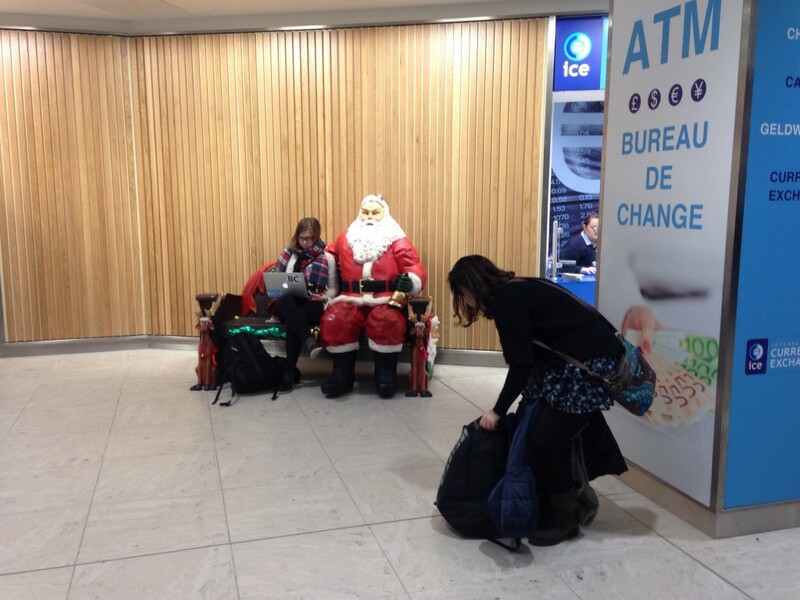 Christmas is coming at Dublin Airport but the work commute is no less miserable. My mother said to me over Sunday dinner: ‘This is some life you’ve chosen,’ knowing that really I didn’t have much of a choice but it’s her way – she’s an Irish mammy. What can I say. I do feel lucky to be able to even support my child and pay the two rents in a way because if I hadn’t got this job when I did, I could have become another and even less attractive statistic. More than 400 families were homeless in Ireland at the start of the year and by August that number had increased to just over 700, a 76 per cent rise in just eight months. Almost 1,500 children are now homeless, a 73 per cent rise since the start of 2015. And in truth, my savings had evaporated after I lost my last job. I’d spent months paying rent from what seemed to be a rapidly disappearing money tree. Of course, I could have tried to access rent allowance – but me having a job was the only reason I’d been able to rent a house in Dublin. I couldn’t have got enough rent allowance for most properties while many landlords don’t want to take the state benefit. It’s a mixed up, unfair system and my little unit was on the edge of becoming a very unwelcome stat. Just as the last few hundred left my bank and after literally hundreds of job applications went nowhere, a job came up in Birmingham. I remember the day because I had never in my life felt elation rapidly followed by dread and sorrow. My son cheered with me – he knew his mother had been out of work for months and no child is stupid. They all realise the bills have to be paid. They all overhear the worried conversation about the rent or the mortgage. Childhood isn’t so innocent for many in Ireland today – and sadly even less so for the children of the mothers who’ve been evicted from homes in true Dickensian fashion. Those living in hotels, no room to play, the new underclass, who don’t have a vote – so won’t be acknowledged by Enda, are my reminder. When I hold my head down at the airport, or on the train, or even occasionally in a private moment in the toilets at work, I think of them. “Keep on going,” I tell myself. I don’t want my child to be one of the forgotten hotel children. I want him to keep his school friends, to stay where he is comfortable and happy. While his father looks for work too. At least there is one of us round during the week to do the school run and wipe his tears when I can only tell him I love him by FaceTime. Technology makes this life easier but being a ghost in two different countries and yearning for a cuddle from your partner and child, is painful. Perhaps we only ever realise just what the simple things are worth, when they are taken from us – but right now, if I could get a job that would pay for us to live at home, I would. But for now, I look forward to Christmas when I’ll have a few days at home to smother my son in love, to remind my partner, he is and always will be, my only love. Travelling and living away just to work and pay the bills, is very hard. But despite the life the bankers, the Irish Government and the lack of a caring and equal society, in Ireland, has created for many – I know one thing. I love with all my heart and I am loved. So for now, goodbye Dublin. Hello Birmingham. Let’s start this working week off on the right foot. Ireland, I’ll think of you in the in between moments. 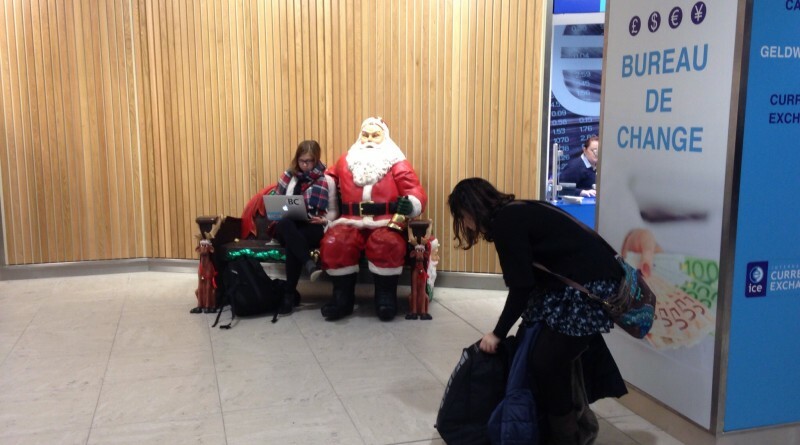 This is a story from an anonymous mother at Dublin Airport this morning. If you would like to tell your story to Ireland Today, email: info@irelandtodaynews.com or tweet and follow us on @Irelandtoday_ or like us on Facebook at Ireland Today.